General Tire, the tradition-rich tire brand with its American heritage, offers a wide range of tires to meet European needs as well. With two summer tire models for cars, six on-highway and off-road models for 4x4s and SUVs, a tire for light commercial vehicles and vans, and a new all-season model for 4x4s and SUVs, the brand can meet virtually all tire needs. Hanover, March 2018. 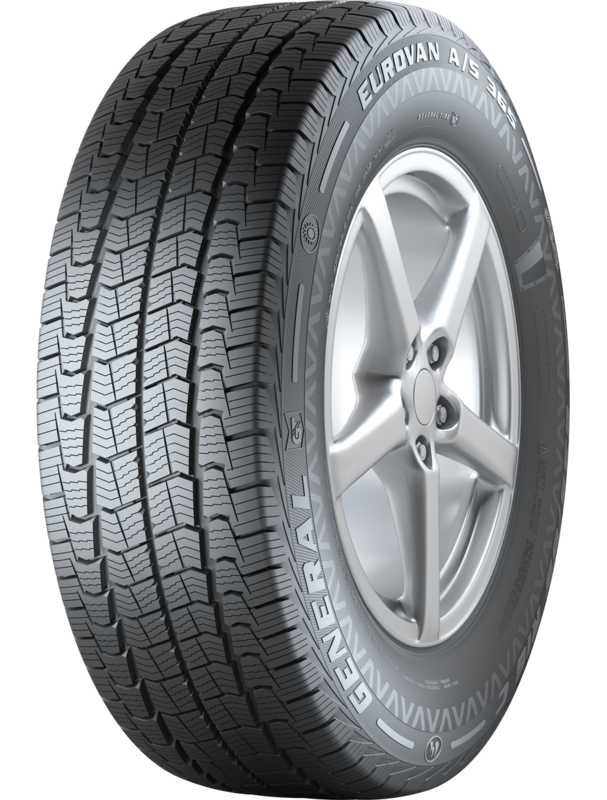 Summer tires from General Tire are renowned for their economy, safety and robust performance. The brand’s product offering designed to meet European needs includes something for almost every kind of car, SUV and van. This season’s newcomer is an all-season tire for SUVs: the Grabber A/S 365. In the new Grabber A/S 365, General Tire unites the extra-robust performance of SUV tires with year-round safety. To achieve this, the tire developers have created a tread that features solid shoulder blocks for high grip on wet and dry surfaces. Wide grooves in the tread and between the shoulder blocks disperse water and slush fast, while sipes in the central tread blocks help the tire deliver high grip on typical wintry roads. So there’s an effective distribution of labor between the different sections of tread: the outer shoulders are designed for summer driving needs while the center section of the tire delivers in winter. The Grabber A/S 365 owes its high economy to a very balanced distribution of footprint pressure, leading to even wear, while a high-strength steel belt protects the new all-season tire against damage to the contact patch. Initially, General Tire has five sizes for 17-19-inch rims in its line-up, suitable for SUVs from European and Asian manufacturers. 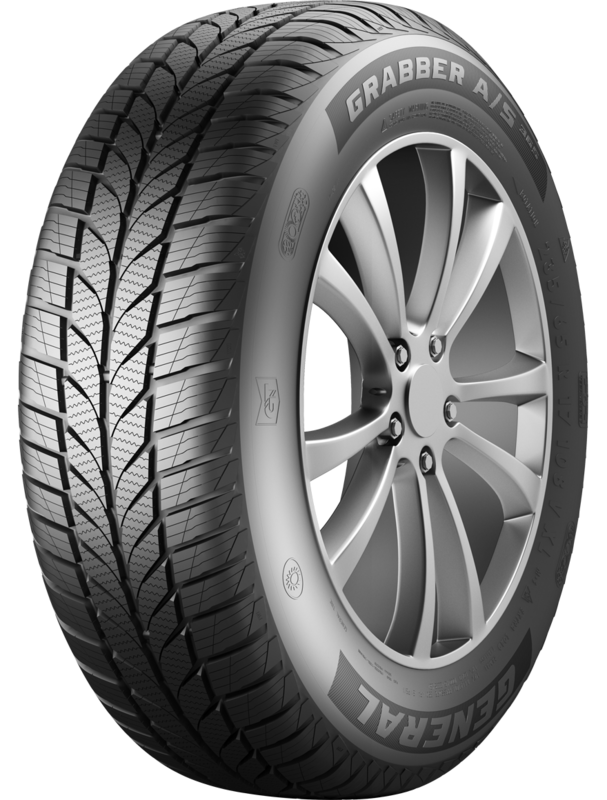 The Altimax Comfort from General Tire is designed for drivers who value a particularly quiet and comfortable ride. To this end, the development engineers at General Tire have designed a tread with blocks that enter the contact patch in staggered sequence, making for steady and agreeably low tire/road noise. At the same time they have kept a clear focus on the tire’s safety characteristics: The Altimax Comfort is based on a silica compound which offers low rolling resistance and an advanced tread pattern designed to deliver safe grip on both wet and dry roads. Its “big brother”, the Altimax Sport, has been designed specifically with precision handling and short braking distances on wet or dry roads in mind. It features wide circumferential grooves and open shoulder blocks for rapid water dispersion. The lateral stiffness and stability of the tread deliver precision handling for safe driving, not least at higher speeds and on winding roads. General Tire has opted for a modern silica tread compound that not only ensures high grip in the wet but also reduces the rolling resistance. 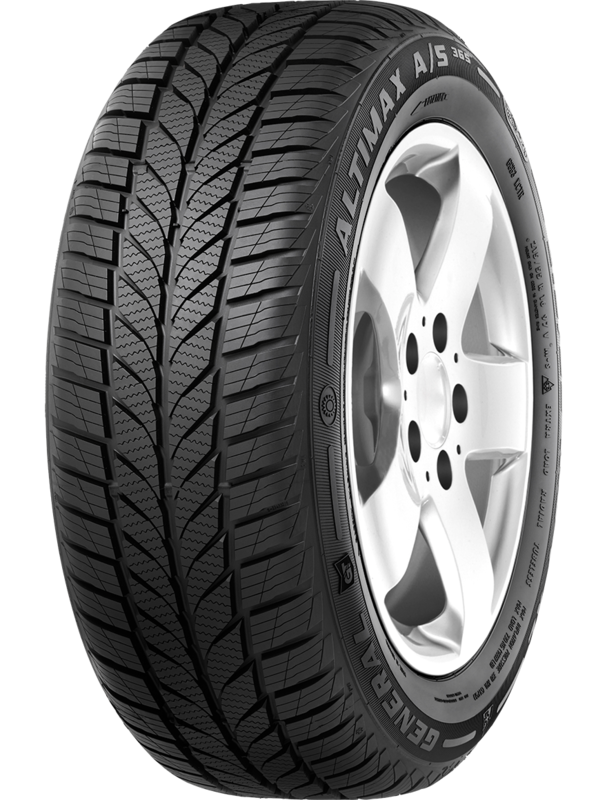 The Altimax A/S 365 is an all-season tire for European requirements. The U.S. tire brand, which in America has a long history of developing high-performance all-season tires, has endowed this model with a good blend of safe-driving characteristics in summer and winter alike. Stable shoulder blocks provide good transfer of longitudinal grip when moving off and braking. Wide circumferential and lateral grooves make for rapid water evacuation from the contact patch when driving in the wet. For safe driving in winter, the new Altimax A/S 365 features V-shaped blocks in the center of the tread, specially designed for all-year use and with sinusoidal sipes that offer a large number of biting edges. General Tire offers a selection of five SUV off-road tires to meet many different needs. Along with the Grabber X3 that can also handle tough terrain, there is the Grabber AT3 for mixed on- and off-road use. Both models feature the robust characteristics and high grip that their intended applications demand. For the Grabber X3 the development engineers at General Tire give an on/off-road ratio of 20/80 percent while for the Grabber AT3 the ratio is 50/50. With these state-of-the-art tires, General Tire, the tradition-rich brand with its American heritage, offers two new solutions in its core all-terrain segment for off-road driving enthusiasts, as well as for professionals in the construction, agricultural and forestry sectors who expect maximum mobility in even the toughest conditions. The advanced tread design of the new Grabber HTS60 with its blocks and sipes offers a large number of edges for reliable interlocking with the road surface, also in the wet. The compound is designed to ensure that the tire presents good chip and cut resistance in off-road use. To ensure a comfortable ride and low noise, the tire features a tread profile that offers very effective noise reduction. In the Grabber GT, 4x4 tire specialist General Tire has come up with an on-highway model specially designed to handle the demands imposed by SUVs and 4x4 vehicles. Its main advantages are high safety under braking on wet and dry roads, precision handling and safe aquaplaning characteristics. combining safe handling on the road with good all-terrain driving capabilities. This robust tire with its eye-catching tread design with the blocks set at different angles and rugged shoulder sections is also designed to handle tougher terrain. The special tread compound prevents stones being picked up and provides greater resistance to punctures or cuts. The Eurovan 2 is a robust performer specially designed for light commercial vehicles and vans. In wet weather, its three wide circumferential drainage grooves take up large amounts of water and direct it away from the contact patch fast through broad grooves in the outer tread blocks. As the opposing grooves between the outer tread blocks are staggered, tire/road noise remains agreeably low as frequency spikes are avoided. Precise directional stability and short braking distances are assured by the wide, sturdy rows of tread blocks in the center of the tire that make for the effective transfer of circumferential and lateral forces to the road. The Eurovan 2 owes its special robustness not least to an extra layer of rubber in the sidewall, ensuring that the frequent curb contact encountered by delivery vans does not harm the tire. General Tire has rounded out its all-season tire line-up with a model for light commercial vehicles and vans. The Eurovan A/S 365 offers safe handling properties on wet and dry asphalt, as well as good dynamic stability on wintry roads. To deliver this performance it relies on a tread pattern with zigzag sipes for secure interlocking with wet road surfaces and wide tread grooves that disperse water fast. The numerous edges interlock effectively with snow, while special “pockets” retain the snow to deliver snow/snow friction. When driving on dry roads, wide ribs in the center of the tread make for high stability, while special handling ribs provide effective tread support on cornering. General Tire has 12 sizes available for 15- and 16-inch rims.